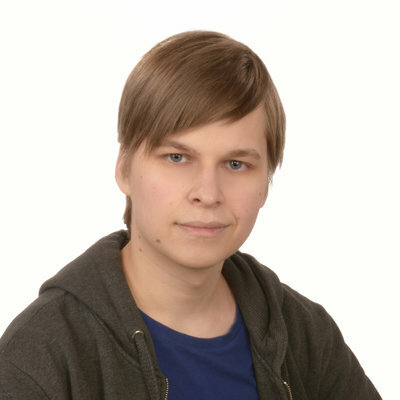 I'm a 23-year-old programmer from Finland. I'm currently studying computer science at Helsinki University. I love finding out how things work and challenging myself on things I have no idea how they work. Under computer science, I have interest in system security and programming language theory. I'm also keeping an eye out on distributed computing. I'm currently volunteering at various positions at the Savo Student Nation, for example as the secretary of the Student Nation and as the chairman of SOSSu orchestra. During my free time, I play violin in SOSSu and sing in SOL. Currently happily employed at Solita.